ArtAchieve Entire Level 1 turned out to be pleasant surprise for me. 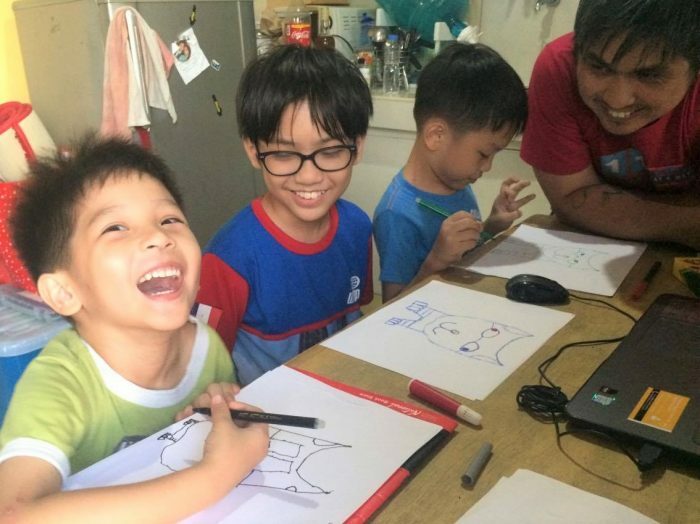 When I first browsed the site, I wasn’t sure our three boys would be up for it, having done online watercolor painting classes before. I guess I thought paint brushes were more exciting than Sharpies. 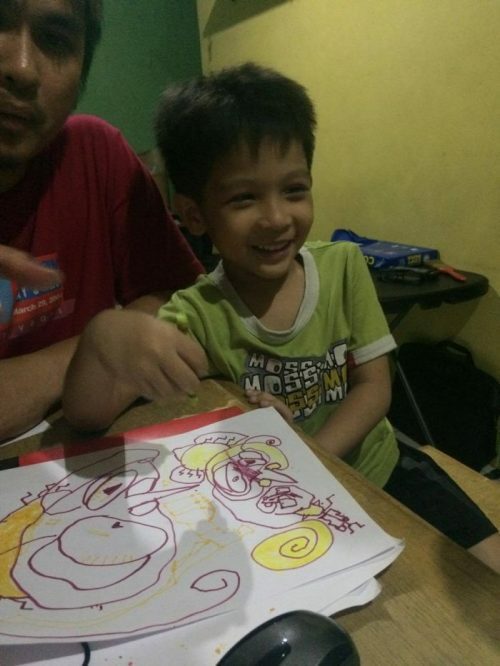 Simply put, ArtAchieve is a drawing class for kids. Looking through the site, it seemed that the drawings on level one were too basic that there wouldn’t really be much to learn. I WAS WRONG! It turns out that each project has a lot more to offer our kids in terms of style and instructions. I wanted to try ArtAchieve for my 6-year old son Judah because I read somewhere that letting kids do art help in their fine motor development, among its many benefits. But I also asked Pablo and Lukas, his two older brothers, to join us because Judah likes doing things with them. Maybe because it makes him feel like an equal? I sense that it’s not easy being the youngest to two skillful older siblings when you have development delays to overcome. As I’ve mentioned before, Judah is still developing his fine motor skills. Doing things alongside his brothers almost always boosts his confidence in himself. I’ve gone through ArtAchieve website a few times before I had the chance to do the activities with my sons. 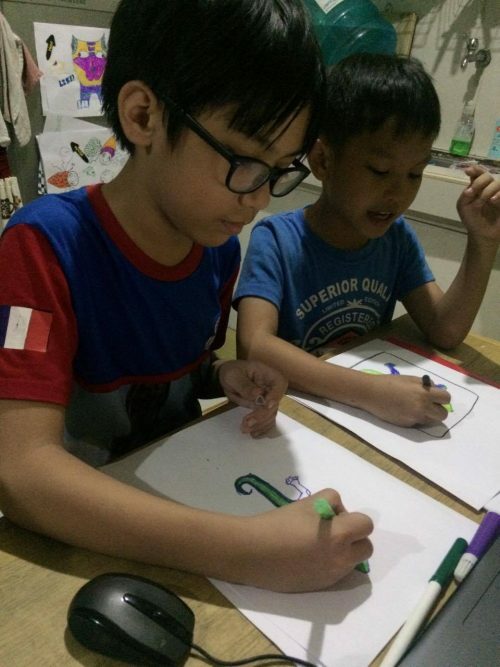 The past few weeks had been toxic for our family in terms of schedule and we were only able to find time to sit the kids down to do the projects together on a Sunday. 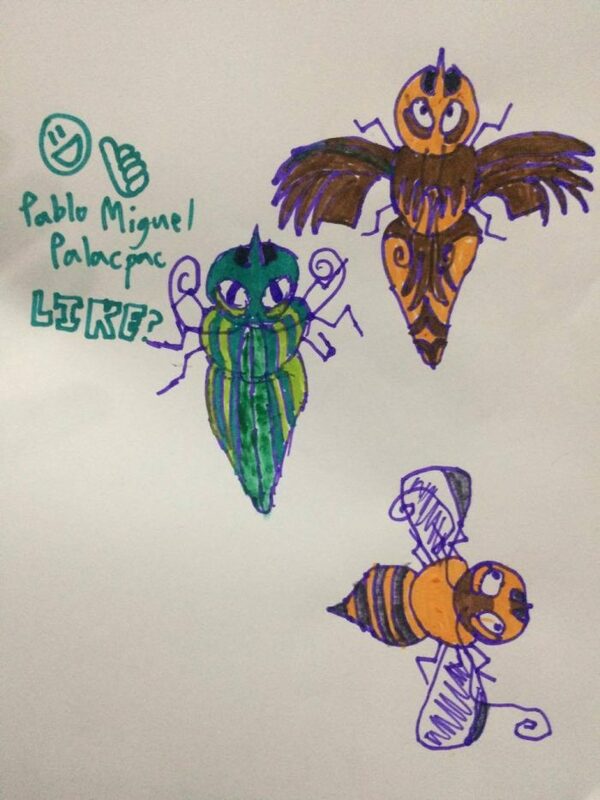 The biggest surprise for me was seeing how much the our kids were enjoying our online art class. They loved following the PowerPoint step-by-step tutorial and designing their drawings afterwards. They were swapping notes, admiring each other’s works, laughing and singing songs together all throughout. Markers are the main tools required for the projects we tried. 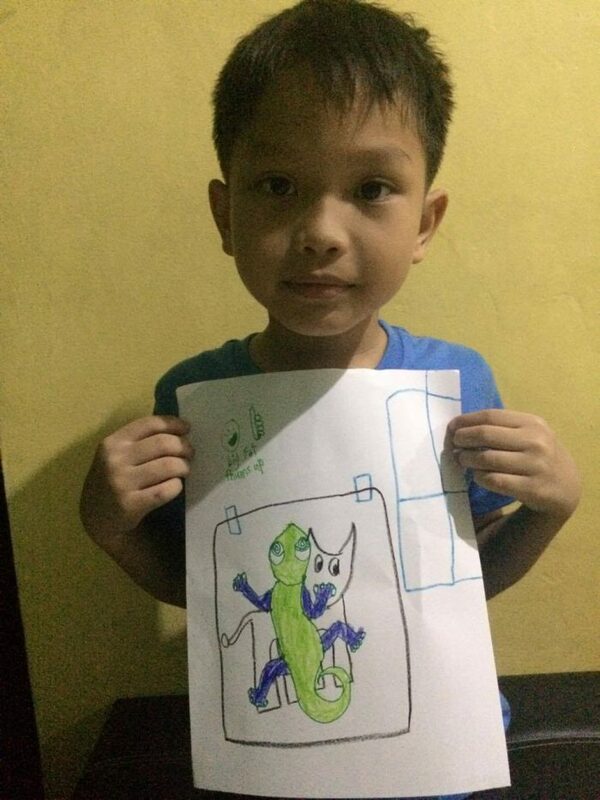 I read in one project that the kids could paint their drawings afterwards. Our kids wanted to use crayons, though, so we let them. Each lesson has video and PowerPoint tutorials that you can use as guide. We opted for the PowerPoint one which made the process of completing the projects quicker and which gives us more space to talk to each other. The site recommends playing music while doing a project so I readied Spotify, but wasn’t able to play it. Keeping things quiet is impossible with our three kids. They just wouldn’t stop talking, haha! I don’t mind. Each project also provides cross-curricular connections that you can use to explore more on topics the projects introduce. For example, on the page of the project Czech Cat are links to studies on Geography, Literature, Science, and Writing. It’s great for unit studies or for interest-led learning. But since we’re on summer break from the Academics, we only read the information included in the PowerPoint which was still good information. 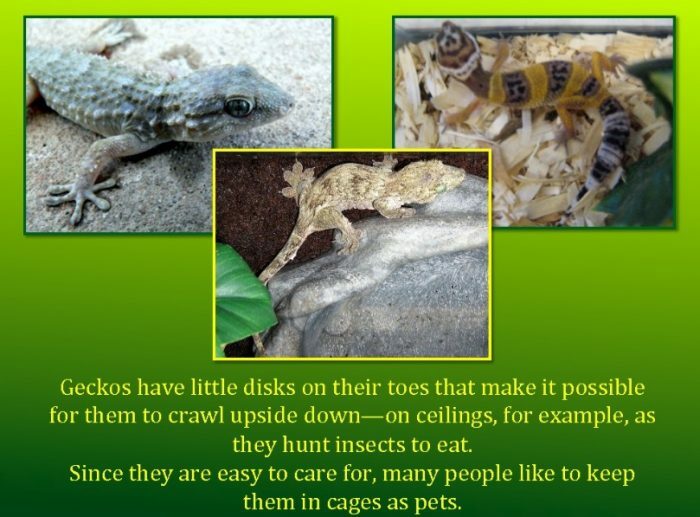 Sample information included in the PowerPoint for Haitian Gecko. 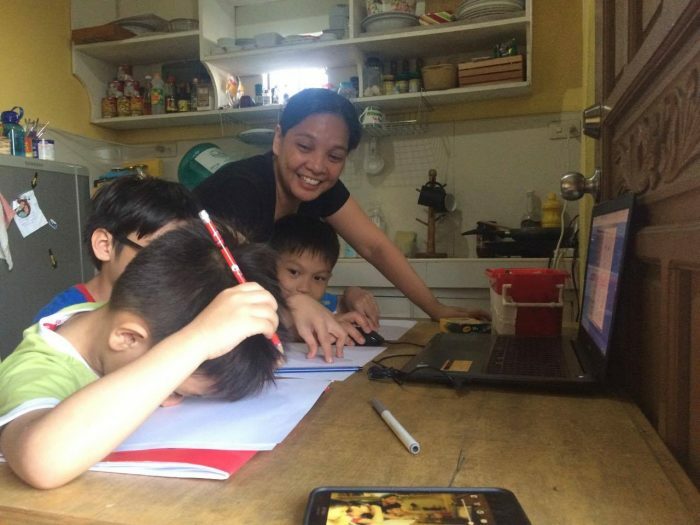 Oh, I have to tell you that if you’re doing the projects, you have to read the rules to your kids because they help a lot in preparing them for the activity. For example, it says in the rules that, in not so many words, you can’t decide on whether you don’t like your work until you’ve completed it. It also says that each work will come out different because they have different personalities. This helped put Judah at ease. It also kept my kids from tearing out one paper after another to start all over again during the entire process. They really completed their projects before assessing if they like what they’ve done. No complaints, so far. 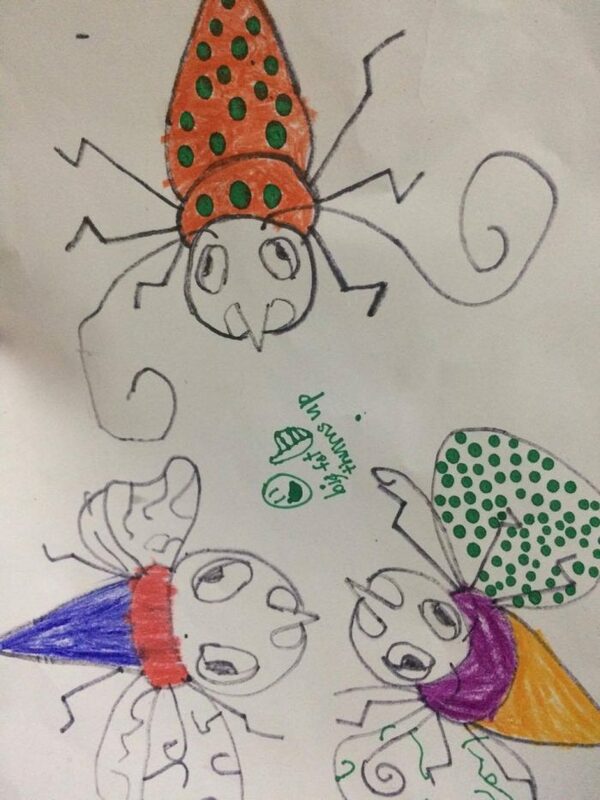 ArtAchieve brought out the creativity and imagination in my children. 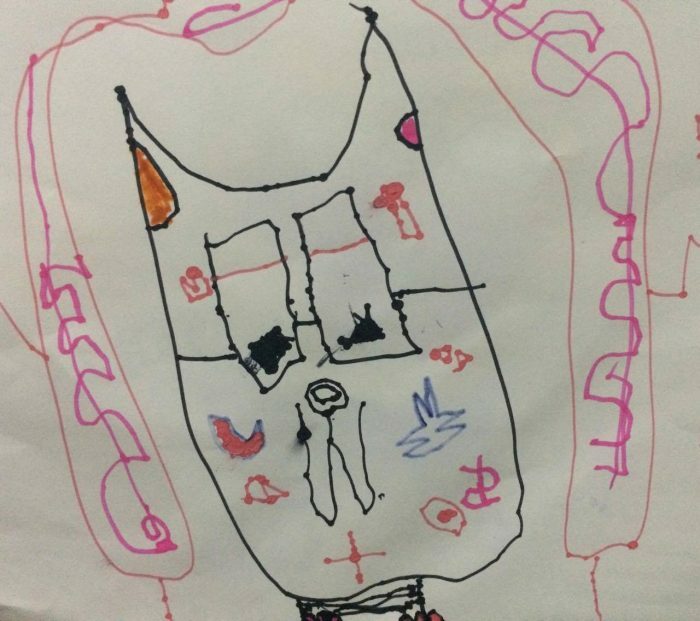 After following the instructions to draw the basic pictures, they freely decorated them with lines, shades and in Judah’s case, more drawings. 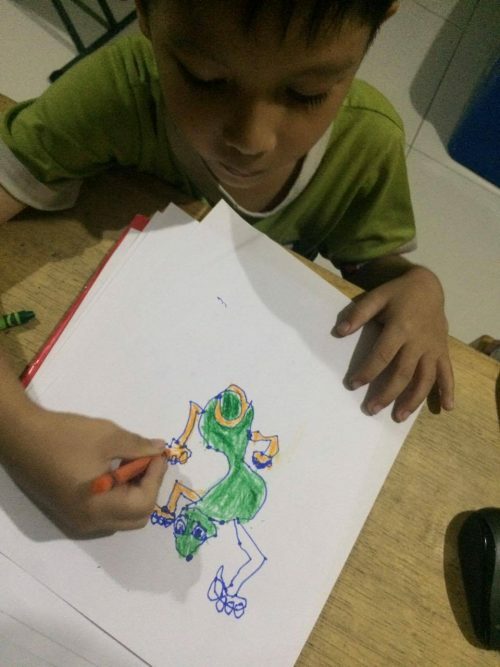 His drawings were so much different from his brothers who have full control of their hands and fingers, but his didn’t turn out so bad at all. In fact, I thought his pictures were unique. 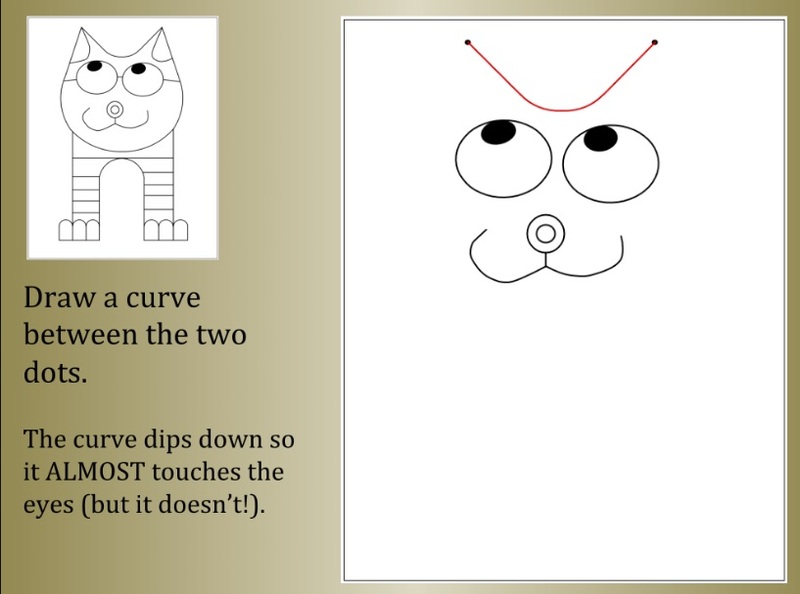 For example, his Czech cat has very small legs and feet because he drew the head a bit bigger than he should have. But it gave his picture more character. His Hungarian Insects were cute, but they look more like giant fleas to me which he laughed about so loudly. Pablo also said that Judah’s Haitian Gecko looks like a character from the animation movie, Monsters, Inc., and if you know my eldest well, you’d know he meant that as a compliment. Going back to the rules, because it says there that how their pictures will look depends on their individual personalities, they appreciated their own output and also appreciated each other’s work. 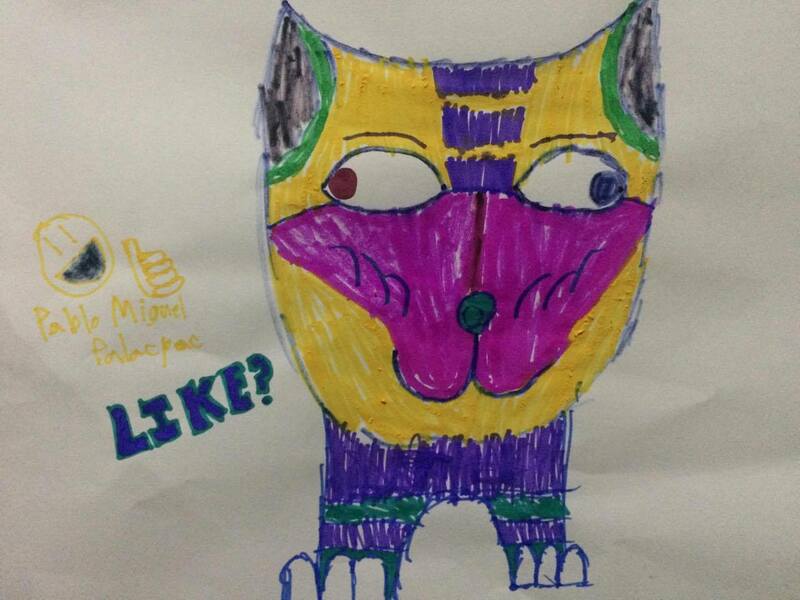 I love how each of my kids’ personalities shone through their art. Let me show you. 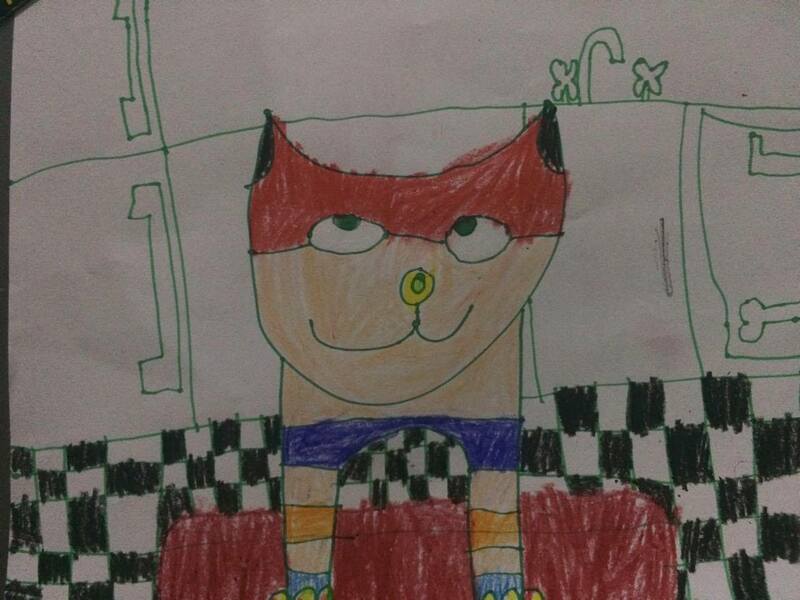 Czech Cat by Lukas, 8 years old. 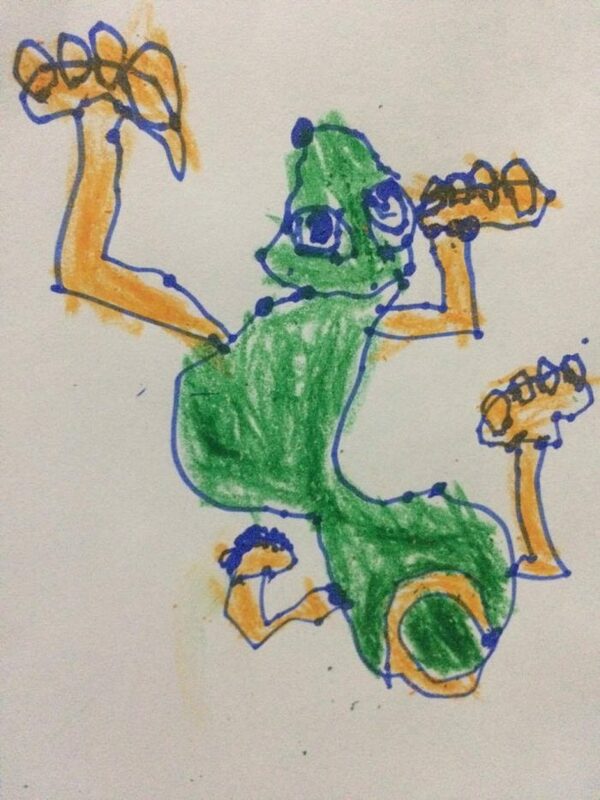 Haitian Gecko by Pablo, 11. The one on the monitor is the sample output on ArtAchieve. 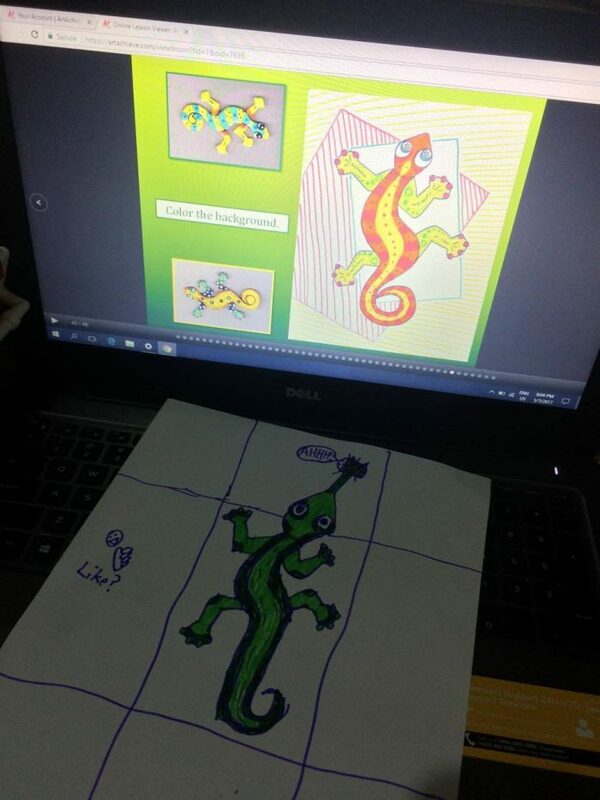 Our 8 year old Lukas and his version of the Haitian Gecko which is says is on a picture of a cat. Don’t you just love how his imagination works? On the technical side, Jay says he likes that it teaches kids to follow a pattern when they draw. 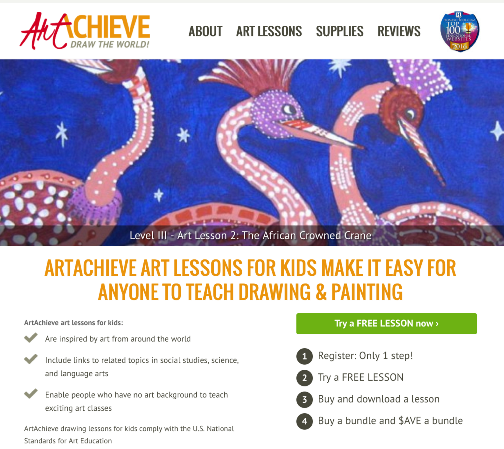 ArtAchieve Entire Level 1 may be for beginners but it inspired my kids and spurned them to color, to create and to imagine. In my opinion, that’s what makes art lessons for kids a really successful one. Judah thought he should use his nose to indicate where to put his Czech Cat’s nose, haha! I would like to thank John Hofland, the artist and author behind ArtAchieve, for the smiles his work put on my kids’ faces. We’re very much looking forward to doing the other projects and learning how to draw from you in the coming days! This is awesome! 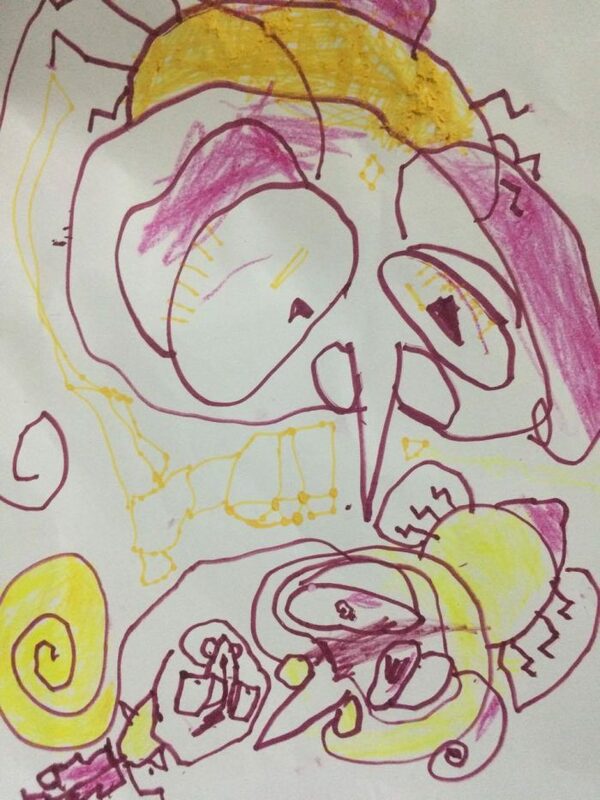 Not bad at all for Judah’s artwork. The giant flea looks cute talaga, ay hungarian insect pala. Nyahaha! I like that there’s this rule to not talk much about their work until it’s completed. And the music that was not applicable to talk all you can kids. Hahaha! I’d like to do this with the kids here too. That’s really neat being able to have online art lessons from the comfort of the house through videos etc. This is something which my youngest would certainly be interested in as she loves drawing. HAha! Judah looks cute and funny trying to put his nose on the paper. lol. Their bonding gave me nostalgia as I was reading your post. Ahhh, seems like yesterday when me, my sis and bro would sing children songs together. 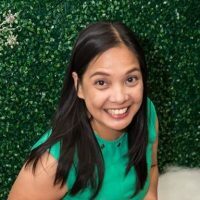 I saw you posted this on your Fb and I got curious. I would want to try it for my little man but I guess he is not age appropriate yet. It would take a year or two for him to try this. But nonetheless, this is a cool way to encourage the boys to appreciate art and stay at home than play outside or be with their ipods and iphones. I saw your Instagram posts about it and got really curious coz Ziggy loves to draw as well. Showed him this just now and upon seeing it he immediately said he wants to try ArtAchieve too. Haha! Will research about this more so that we can try it out.